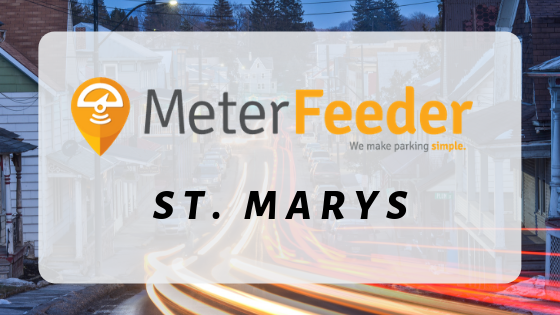 St. Marys (PA) - The City of St. Marys, Pennsylvania has partnered with Meter Feeder, Inc to provide a new method of parking payment for its citizens. The MeterFeeder digital parking and enforcement system is already live in over 25 locations across Pittsburgh and Ohio, and will be going live in January 2019 in the City of St. Marys. MeterFeeder will go live in downtown St. Marys in January 2019.